Just got an email from TRU saying be there at 9am Saturday to be the first to get LTH. My TRU has been selling them since last Sunday, if not earlier. I am wondering if they will put Blue Bash out tomorrow, instead of Sunday. I got that too...what a joke. My local store literally must have 100 LTH strung out on displays and the aisle-crate thing. I was told Sunday, that is what I would bank on as it matches Dragon's Peak last week etc. My store has 12 total Blue Bash figures...if you want one I'd get there early just to be safe...hopefully. I wouldn't be shocked if some don't sell early and if others just don't get any in...really sad how they've mismanaged things lately. Good luck regardless, let me know if you land anything! Do u know the date wave 4 will be everywhere? In the US? All the retailers here have had them, keywords "have had." It seems like they get low quantities and of course they sell early. My TRU hasn't had any since 3/25 when they sold the few they got. Target gets light restockings, GameStop seems to be pretty random and might get 1-2 of each new single. Wal-Marts seem to be getting a lot more in and in better quantity, but with no limits, they can go to one person etc. Blue Bash should hit this Sunday and I believe that will wrap up Wave 4 in terms of hold outs. Then it is just a matter of being in the right place at the right time, lol. Good luck! Good luck finding Wave 4 by the way! Yeah, my issue is the way it was marketed and regardless of what anyone knows now, when you see Whirlwind on a sign at the display that says "Only at Target" and when you purchase her and she has the "Only at Target" sticker and Drill Sergeant has a similar sticker it is deceptive and mis-representative. I could see the Triple Pack being a loop-hole, but not what they did with the singles. With the TRU exclusive stuff it held true (Legendary Triple Pack, Legendary Trigger Happy etc) and the 30 day window on Dragon's Peak was made clear ahead of time. Thanks, just ordered them, lol. Lee. 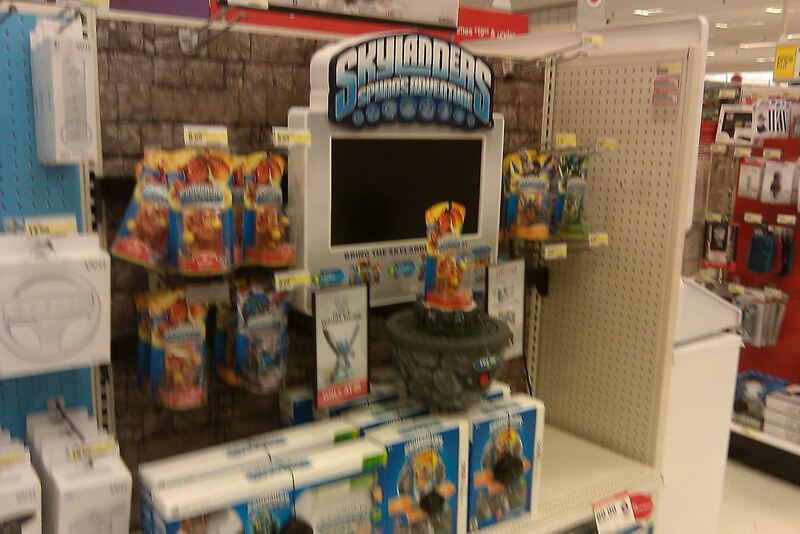 I have the the same skylanders. I found blue bash too. Very nice Lee. I feel for you on Wave 4, haven't seen anything locally. Your big score was Blue Bash though. Congrats to you and tmanofwiisdom on the scores. My TRU had 12 of them...I got a rain check for what it is worth, lol. I've seen a lot of Prism Break singles off-and-on, most notably at Wal-Mart. You might check there periodically...good luck! I walked into my TRU on Sunday five minutes before closing time and saw ten of the Blue Bash just sitting out in the open along with about a thousand LTHs. 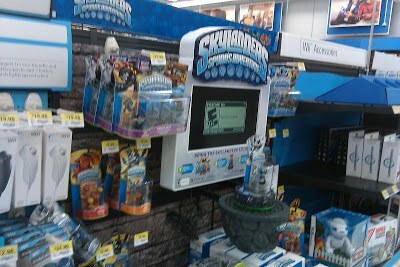 I asked the cashier if that day had been a slow one and she day it's been really busy all day, and most people were checking the Skylanders section. She also happens to be a fan of the Skylanders series and grabbed a Blue Bash after I got one. I also scored a Lightning Rod single pack and Empire of Ice. Then I found a Lightning Rod single pack and a Prism Break single pack hidden behind the Angry Bird plush toys. Good lord, awesome haul! I have hit TRU on these "special days" a little before lunch and they've been wiped clean of the "hot" items. It could be there are a lot of casual players and people just buy what looks cool...ie a kid may tell their parents "the purple dragon is what I want (Cynder) and bypass Blue Bash, Zook, and an adventure pack oblivious to what a pain they'll be to track down later, lol. I really wanted the Lightning Rod single, and Zook in the same format, but seeing how I still rarely see a Wave 3 outside of Double Trouble, I opted to order it in when TRU put them up this morning. My TRU has the same Angry Bird stuff to the right of the Skylanders...I've found Legendary Triple Packs there when they came back in stock. Congrats again on the haul! Thanks! I also asked the clerk about any Zook singles in stock and she said that they've never got a Zook single pack ever. They only got the LRod, Cynder, and Zook triple packs in and they only got 3 of those, which sold out the day they were put out in the store. Then I see Double Trouble everywhere, but I hardly see the triple pack it's in. People must have ether not got Whirlwind and/or Drill Sergent by the time Wave 3 hit, or they just bought them to sell for 70 dollars on ebay. Yeah, it seems like it is hit and miss on either singles or the triple pack. I've not seen singles or triples of any Wave 4 in my local stores. I know Walmart gets cleaned out by scalpers. GameStop claims they had singles on the shelf 2 days and then an employee bought them. I too have started to see the Double Trouble singles. I've seen quite a few of the WW/DT/DS Triple Packs. Sadly, I know a lot of people that bought DS and WW for big bucks (usually just one of them was hard to find) under the assumption they were exclusive and would remain hard to find. It took me until the end of Nov to find Drill Sergeant and I had to drive 60 miles to another town. That's why I'm still upset about the deceptive marketing and misrepresentation of the product in those cases. Either way you had a nice haul...I bet the Zook singles will surface soon...might even find it at Walmart if you learn their stock times. Good luck! Nice, I'm cool with employees getting first dibs...especially if they are players, or it is for someone that is. What happens locally is an employee keeps all the new stuff and hocks it on ebay...I actually think that is why she works at Walmart. 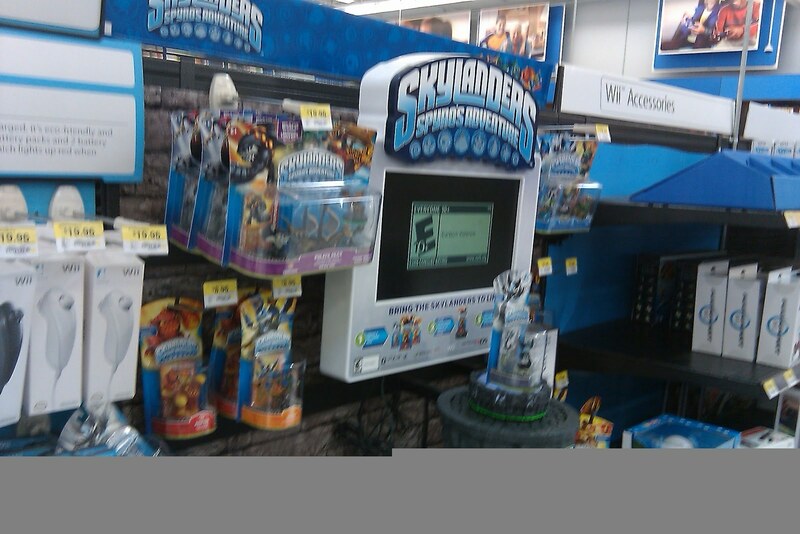 Our GameStops are pretty cool about it, although most of them are big into Skylanders as well, lol. I had to order from TRU as well...Mine is in town (Friday), but thanks to it going surepost I'll see it Monday...hopefully. Hope you enjoy them, I can't wait to see how Lightning Rod plays.